At SSA 5, Computer Science students represented themselves, their projects, and the department quite well. 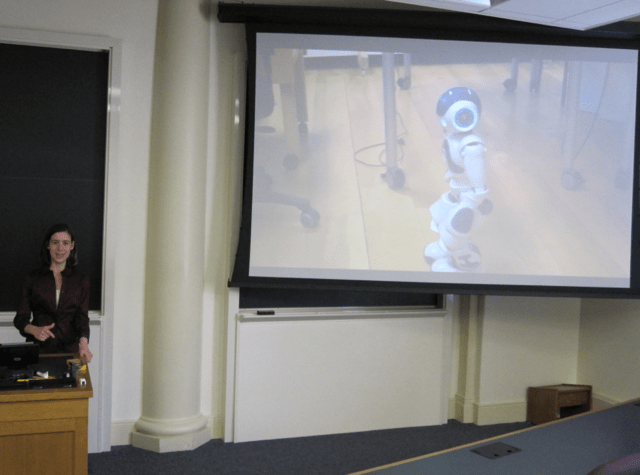 Alicia Bargar ’13 started the day off with a presentation about her summer research project, focused on improving the abilities of human-robot interaction, specifically in its use in therapy of children with autism spectrum disorders. Richard Marmorstein ’14 was the computer science representative in a panel on digital humanities projects at W&L. 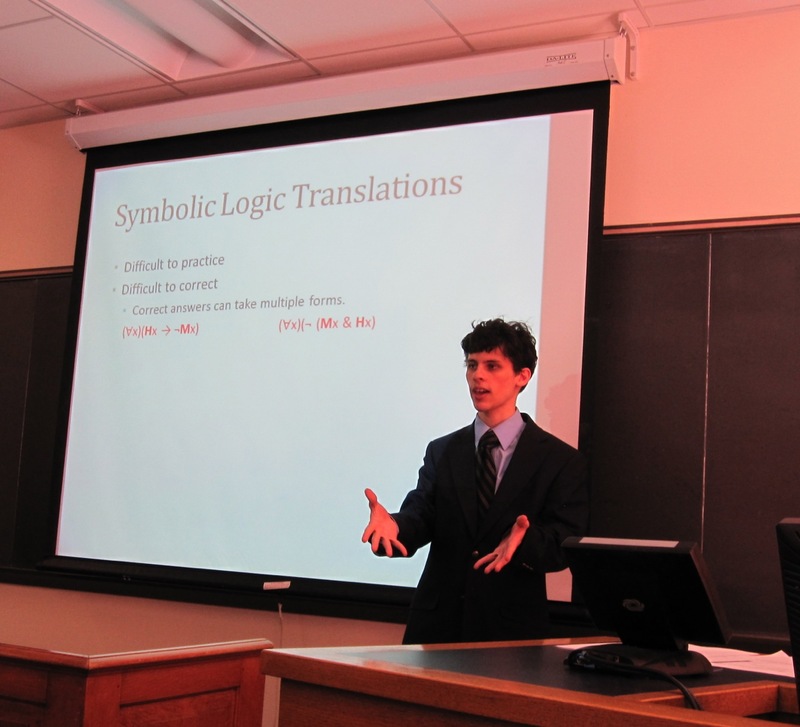 While the other projects were presented by humanities students, Richard presented his work with Professor Paul Gregory (philosophy) and Professor Sara Sprenkle (computer science) on developing an online symbolic logic tutorial, which is used in Professor Gregory’s Philosophy 170: Introduction to Logic course. 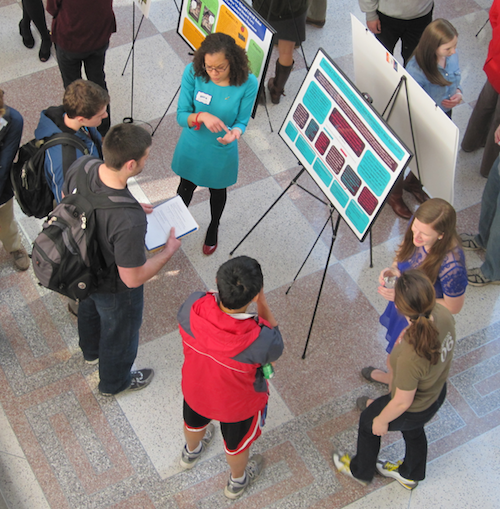 The final poster session featured six computer science students. 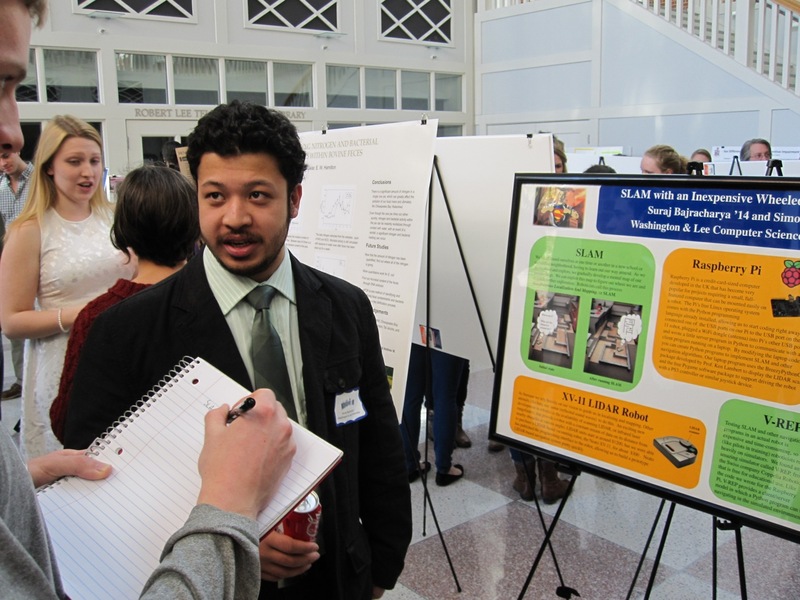 Suraj Bajracharya ’14 presented “Simultaneous Localization and Mapping in an Inexpensive Wheeled Robot”, his independent study project with Professor Simon Levy. 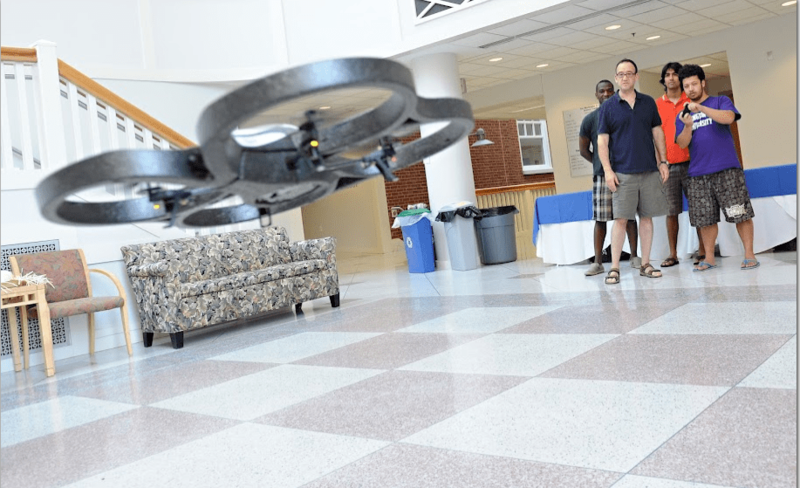 Audience members could drive the robot and see how the robot visualized obstacles. 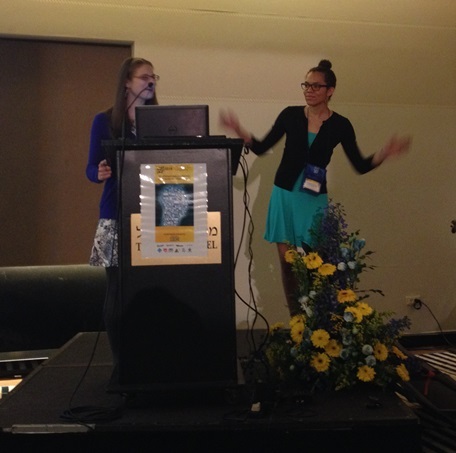 Haley Archer-McClellan ’15 and Deirdre Tobin ’15 presented their summer research project, entitled “Exploring a Text-Based Analysis of Persistent-State Dependencies in Web Applications”. 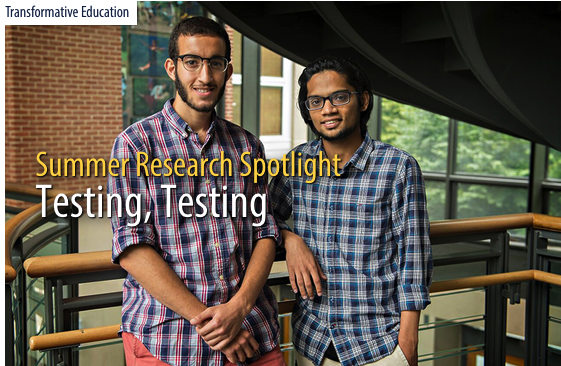 They presented their methodology for finding relationships between web application resource names using textual clues. 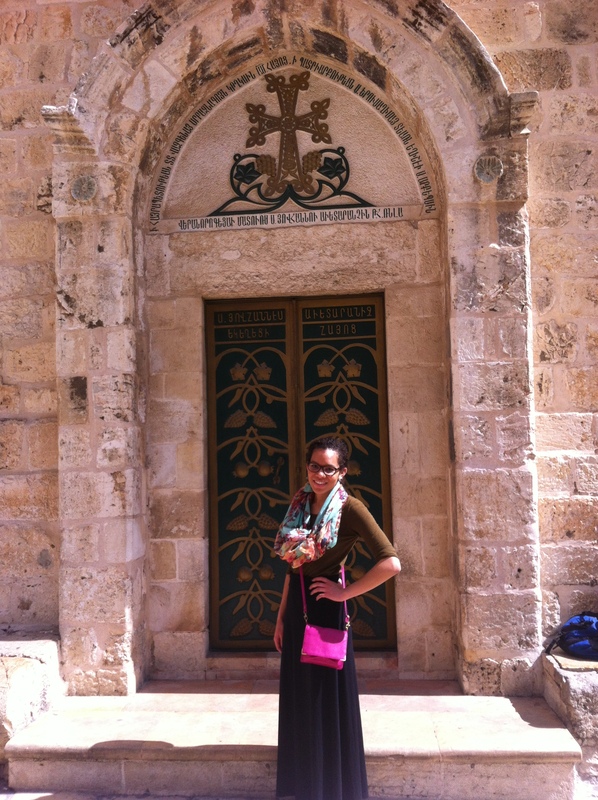 Their work is supervised by Professor Sara Sprenkle. Three computer science students presented projects based in other departments: Lee Davis ’13 presented a poster on the results his independent study with Professor Natalia Toporikova from biology: “Computational Model of Pre-Botzinger Complex”, while Ginny Huang ’14 and Cathy Wang ’15 presented “Zeckendorf’s Theorem, Tiling Proofs, and the 3-bonacci Sequence”, supervised by Professor Gregory Dresden of the Math Department. Beyond these presenters, many computer science students also participated in book colloquiums and performances and supported their friends by attending their sessions. 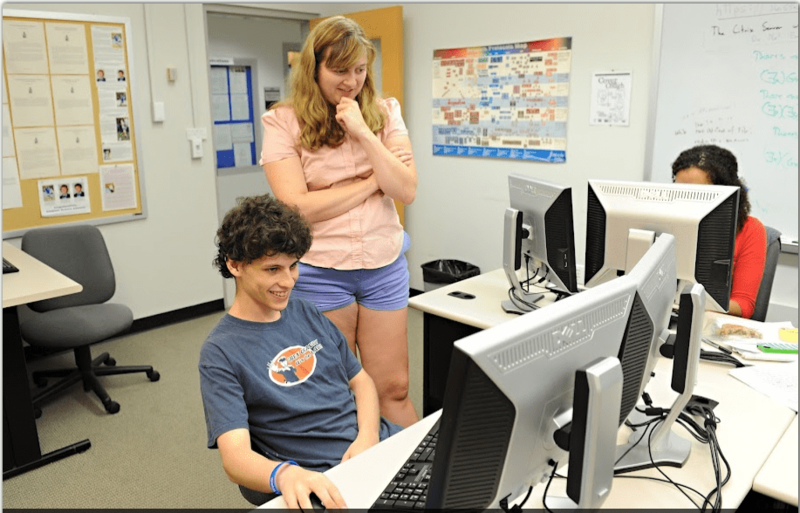 Richard Marmorstein ’14 presents his progress on developing and testing an online symbolic logic tutorial to Professor Sprenkle. The application he is developing will be used by Professor Gregory in logic courses and by Professor Sprenkle in web application testing experiments. Photos courtesy of Kevin Remington and Scene on Campus. 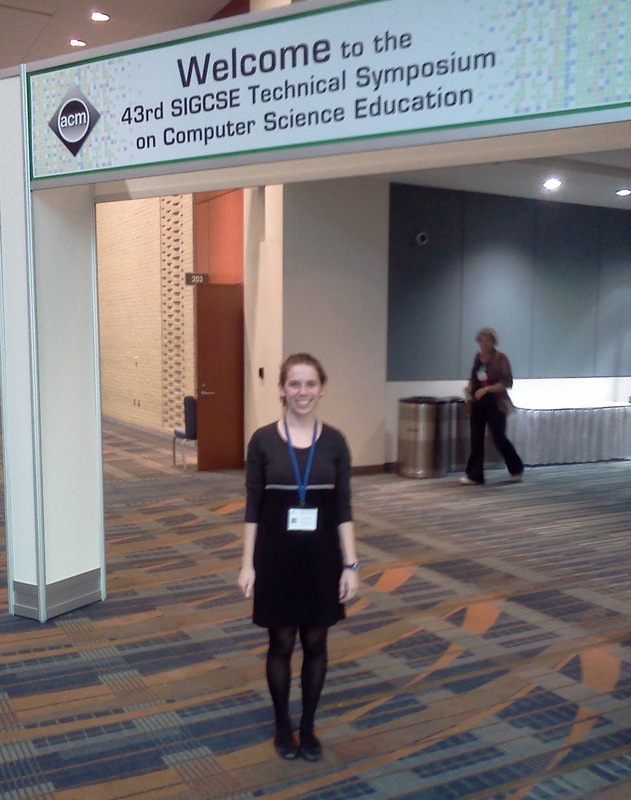 Camille Cobb ’12 was a finalist in the ACM Student Research Competition held at SIGCSE 2012 in Raleigh, NC. 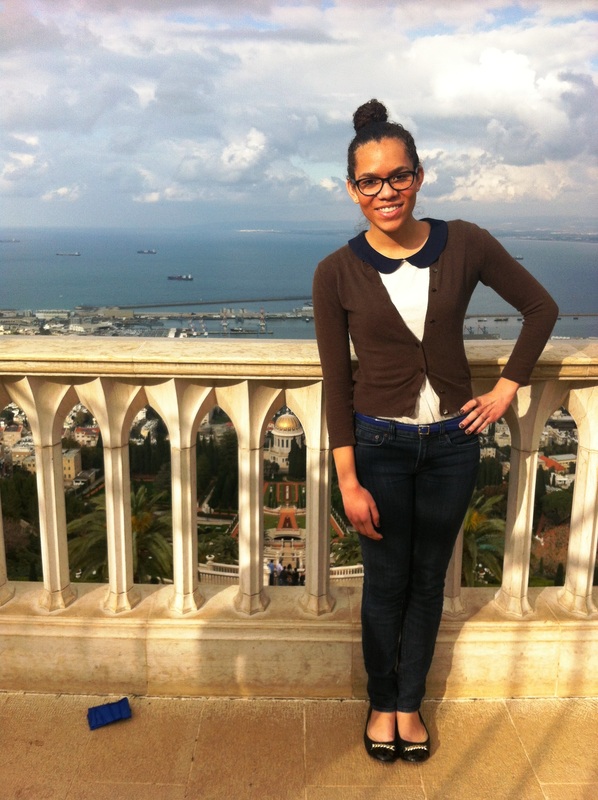 Camille presented her poster on “Exploring Text-Based Analysis of Test Case Dependencies of Web Applications” in a four-hour session to unknown judges, which placed her in the top five student researchers. She gave a well-received 12-minute presentation two days later with tough competition–by all accounts, the finalists were all very strong. 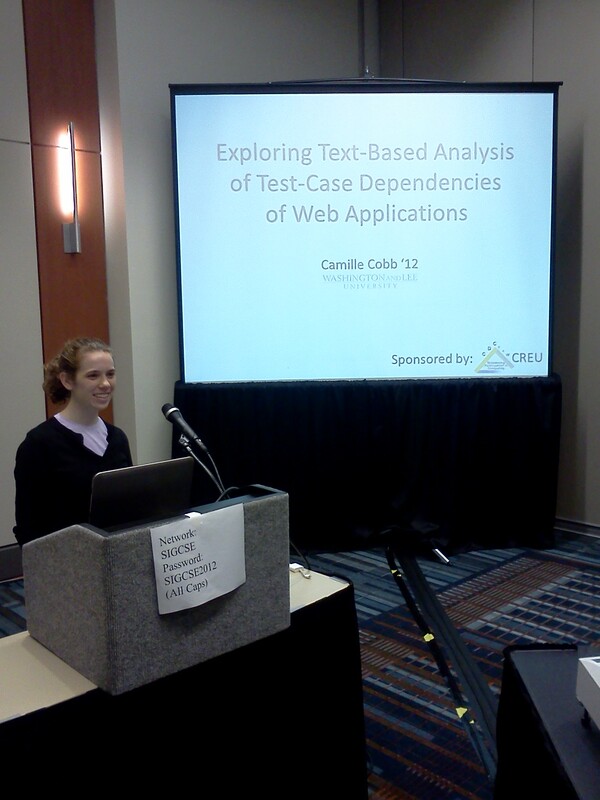 Camille presents her research along with the four other finalists.